Let's be honest, I am cheap frugal. If I don't NEED to spend money, I have a really hard time doing it (that goes for hubby getting coffee from Starbucks instead of making it at home, to me buying something at Target that isn't yet on sale, etc). When I decided I wanted to run the Dopey Challenge (a 4 day back-to-back challenge through runDisney at Walt Disney World - running a 5K on Thursday, a 10K on Friday, a Half Marathon on Saturday and a Full Marathon on Sunday), I knew I needed someone savvy to help me with my training plan. 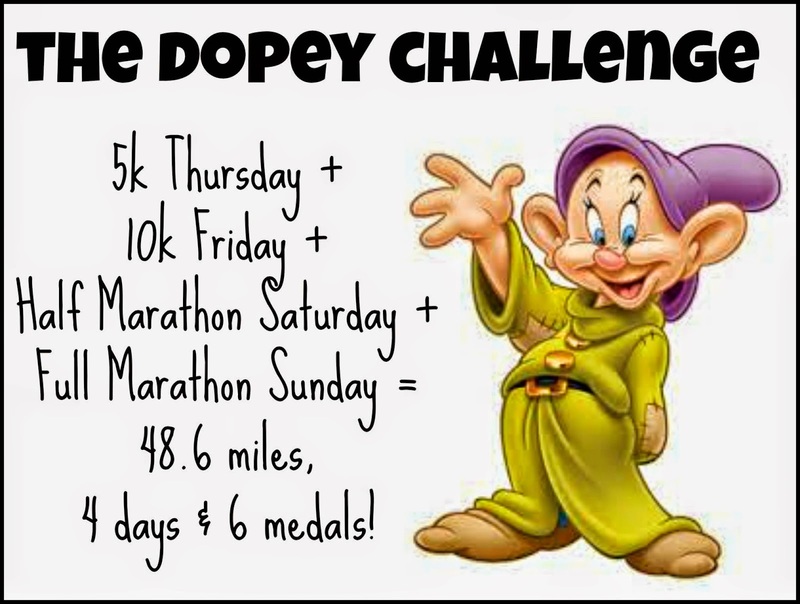 You see, I wasn't ONLY training for the Dopey Challenge, I also had my sights set on the Phoenix Marathon (for a PR) and also had numerous other races on my schedule already that I needed to fit in. This is where the expertise of a coach comes in handy! For me, it was an invaluable asset to my training. A friend of mine, Krissy, had recently been certified as a running coach and since she loves runDisney, she was offering coaching for the Walt Disney World Marathon Weekend... UM, CAN YOU SAY PERFECT?! I mean I already loved her as a runner and friend, but now she could be my coach?! To start out, she had me fill out a little questionnaire with different goals, how much I was currently running, my upcoming races, if I had a preference on when my long runs were, etc. My main goals: Continue to run injury free and not lose my love for running while pursuing a bit of speed, a Half Marathon time of sub-1:50, and a Full Marathon time of sub-4:00. If you haven't looked at my Personal Records on the right hand side of my blog lately, just know SHE HELPED ME ROCK ALL OF THESE AND MORE! 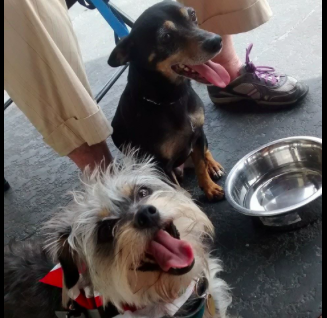 What I loved best was that you were able to personalize your plan with someone who really knows their stuff! My schedule ended up being 6 months long (I know, crazy, right?!). I started in September (after finishing the Disneyland 10K and Disneyland Half Marathon) and it went through the end of February (which is when the Phoenix Marathon took place). Since I was working towards Dopey, I had to have back-to-back runs on the calendar (to make sure my body was ready to take on the challenge of 4 consecutive mornings of races) through January, but still had speed work throughout my training because I was shooting for time specific goals. I was also able to choose to have my longest runs on Friday (since I had the day off and it would still allow me time to hang out with the hubby on the weekend), while still working in a day of both strength training and cross training because I knew my body performed best with a max of 4 runs per week. 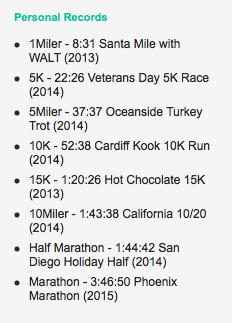 The great thing about working with a coach is they can adjust your training plan as needed. For example, PRAISE THE LORD I didn't experience any injuries, but if I had, I know Krissy would have been able to work up a new plan so I would be able to recover while still working towards my end game. On the positive side, we were able to chat about adjusting my plan because I was HITTING my goals and needed to make them FASTER! 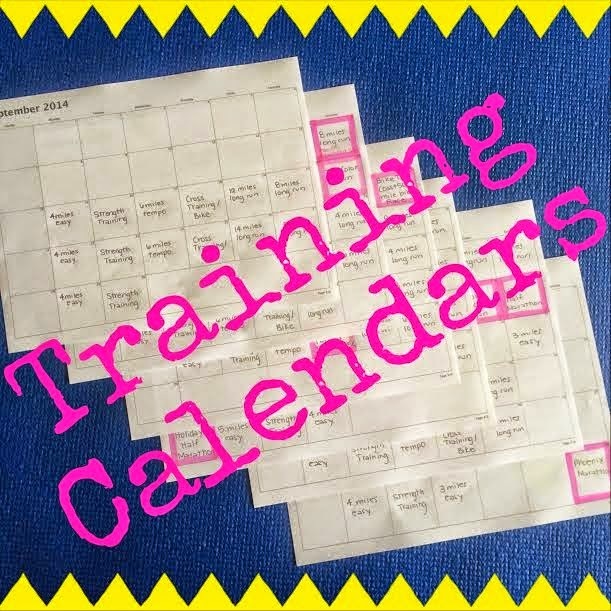 As I mentioned at the get-go of this post, I can be a penny-pinching person, but I would DEFINITELY recommend working with a coach if you are looking for a personalized plan with specific goals in mind (let's be honest, for my first 10+ half marathons and first full marathon I just used a generic plan that I found on the Internet to get me whatever finishing time I could manage). If you are interested in working with Krissy (obviously there are tons of other great running coaches out there, but I know the "product" you will get with her so can FULLY endorse it) - please feel free to reach out to her at: khiguchi@gmail.com. She does limit the number of clients she has, that way everyone gets the personalized attention that they need, so please keep that in mind when touching base with her about working together. 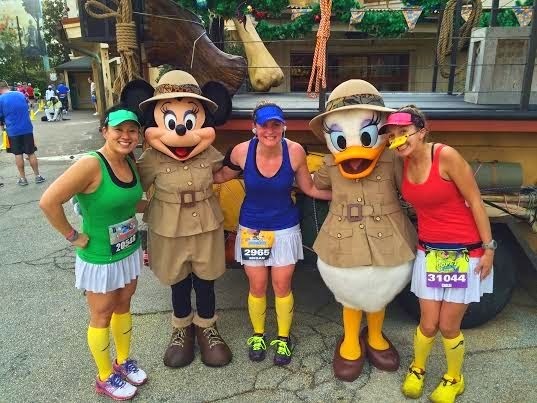 Krissy is currently accepting clients, specifically for the 2015 Dumbo Double Dare (or Disneyland Half), 2015 Wine & Dine Half, and will be kicking off a group for the 2016 WDW Marathon Weekend later this month! Obviously she is more than willing to help with other plans, but there is an added benefit of a group Facebook page (folks training for the same race, even if it is with different goals, bonding together as a team to encourage one another) and not to mention her expertise specific for runDisney races. Have you ever thought about using a running coach? What is the main reason you haven't used one yet? Yes, yes, yes. Use a running coach, especially if you are putting your body through something new and/or spending serious dough on travel, bib expenses for a race.